The buzz-worthy words of sustainable and fair trade have received more recognition in the fashion industry as of late. While most people value these morals, not many ethically made, affordable options are available for them. If you want to shop sustainably and conscientiously, you are often limited to vintage, thrift stores, or a few token brands that only offer investment pieces. Peoples Product is a start-up based in Ryerson’s Digital Media Zone. They offer a modern fashion model, and with it, options. Company founders Eva Parrell and Chelsea Mazur put sustainability and fair trade on par with style. They listen to what millennial customers are looking for: a value-driven, affordable and chic label that’s an alternative to Value Village. Parrell and Mazur are Ryerson University Fashion Design alumni and began collaborating while Parrell was looking for ways to source sustainable, artisan-made materials for her designs. Parrell had just spent a year and a half working for a jewelry brand that partnered with Maasai women in Kenya to create beadwork projects designed for the western markets. The experience inspired her final year thesis, leading to the creation of a beaded line of women’s clothing. Although the beadwork was an artistic success, Parrell knew this type of collection wasn’t suitable for everyday wear and looked for new ways of working with artisan-made products in a more user-friendly way. The search soon had her sourcing raw materials from communities in northern Thailand, who were known for their craftsmanship and expertise with woven materials, such as silk. Mazur soon joined Parrell in her studio, and the two began collaborating on designs. Together, they decided that instead of having the materials shipped over to sew themselves, they would embrace an entirely artisan-made process, from the fabrication of material to the construction of the garments. The pair quickly began thinking about their collection as a brand and business and in August of 2016 Peoples Product emerged. Two and a half years later, the business partners are now working with manufacturers in India. 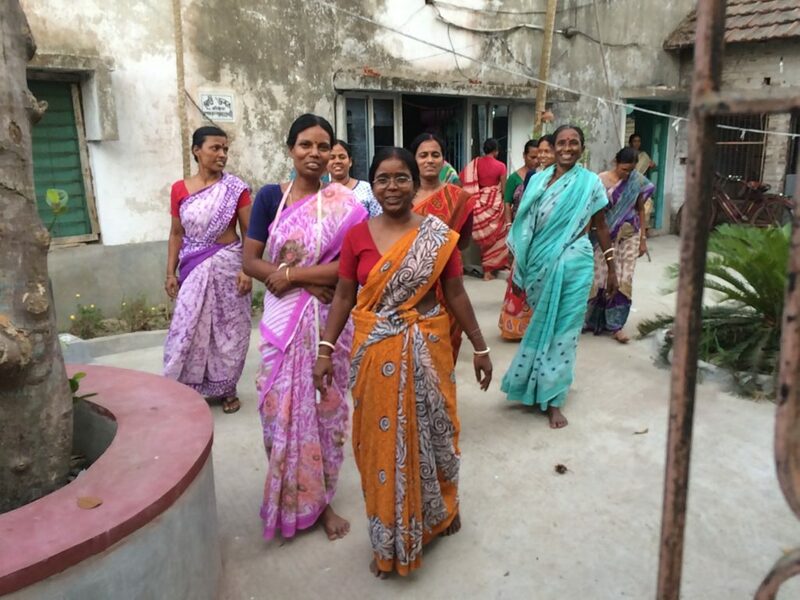 This transition allowed the women to become even more involved with the communities they work with. Having the flexibility to work with many craftspeople with widely different skill sets while being in close proximity to one another was an important factor in making their decision. This allows Parrell and Mazur to visit the production locations and build a relationship with the artisans and their families. This company takes a drastically different approach to many popular fashion retailers, who create distance through subcontracts, instead of building relationships. 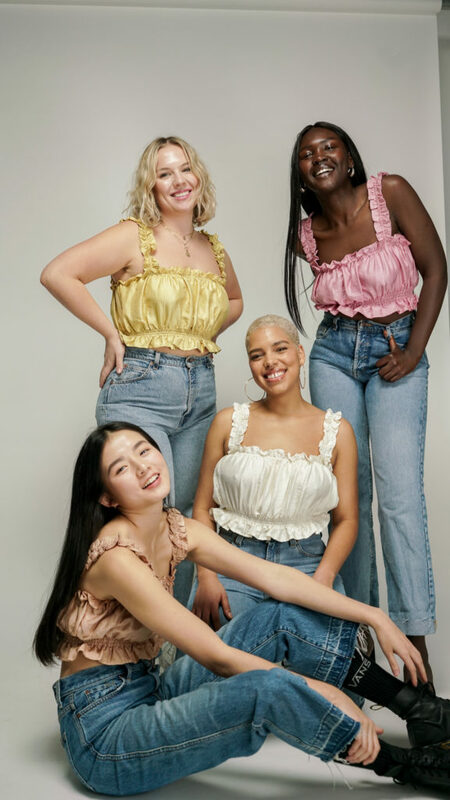 Peoples Product operates in a way that connects an increasingly disconnected fashion industry. (Ma, Lee, Goerlitz, 2016). Parrell and Mazur emphasize that building personal relationships with the artisans improves their products. By meeting the people who make their products in the places that they’re made, they are able to communicate firsthand with artisans and learn about individual skill sets. In turn, the artisans show them how they can improve the original designs based on the characteristics, strengths, and limitations of different fabrics, thanks to their extensive hands-on knowledge. This mutual support, built on positive communication, is just one part of the fair trade practice. Peoples Product partners with entreprises that ensure artisans are paid fairly and that the making of their garments doesn’t leave waste in the surrounding environments. The company emphasizes fair pricing for both its makers and consumers; they want their products to be ethically made and affordable. These are rare qualities to find when it comes to the current fashion landscape. Parrell and Mazur are able to achieve this by operating as a direct-to-consumer e-commerce business. In addition, the two are continually working to improve price accessibility. Information about Peoples Product business practices is equally accessible. The brand operates with transparency in all elements of their manufacturing, design, and pricing. 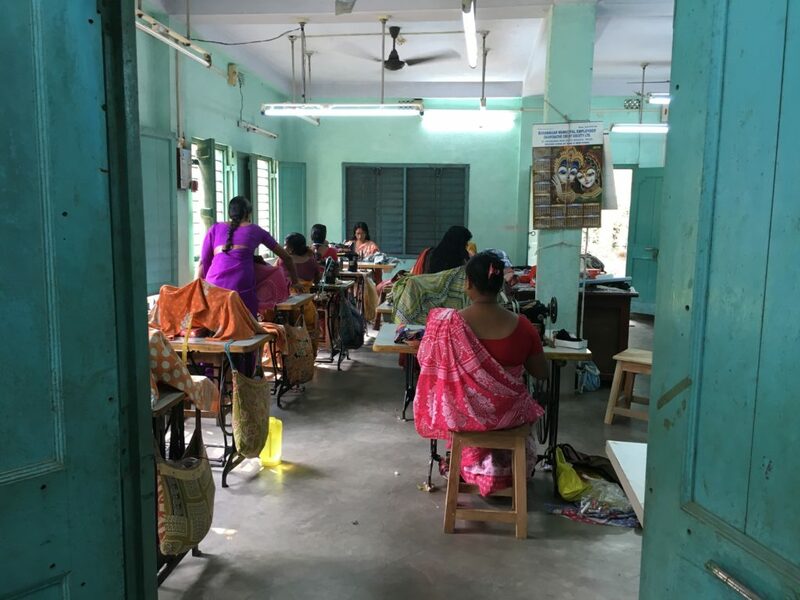 This transparency starts by working with fair trade enterprise, Sasha, which produces Peoples Product garments, and is then applied to the pricing model outlined on their website. As far as sustainability efforts go, Peoples Product works with 100% natural fibers, forgoes chemical dyes, and uses as much naturally coloured material as possible. The fabrics are also low-impact, meaning the thread is spun, the material is woven and the garments are all sewn without using electricity. Parrell and Mazur acknowledge that being as sustainable as possible is a continuous learning process and a design challenge. For instance, Parrell and Mazur have found that the use of elastic in a pair of pants is difficult to avoid because it brings a level comfort to the wearer. Still, sustainability is always kept in mind and Peoples Product plans on incorporating its practice into future designs. It will be reflected in the use of new materials, such as alpaca for warm weather garments. The founders are also considering adding newly developed sustainable textiles for the future collections. Despite the many unsustainable patterns of the fashion industry, Parrell and Mazur have a positive take on the future of sustainable fashion. They see large retailers evolving with consumers, shifting to more sustainable methods, and adopting newly developed eco-friendly fibers. For conscientious fashion lovers, a few years’ time holds the promise for more ethical options to keep our style palates satisfied. Until then, brands like Peoples Product are paving the way for current, gorgeous, ethically-made styles. Very much interested in what Peoples Product does as I am involved in charity sales for Families for Children.